If you're looking to maintain your health naturally, then you can definitely use Swanson's products. They offer a wide range of natural health products including supplements, vitamins, and foods. Customers can also save on their orders by using Swanson vitamins coupons. The company has been around since 1969 when it was founded by Leland Swanson, a natural health enthusiast. 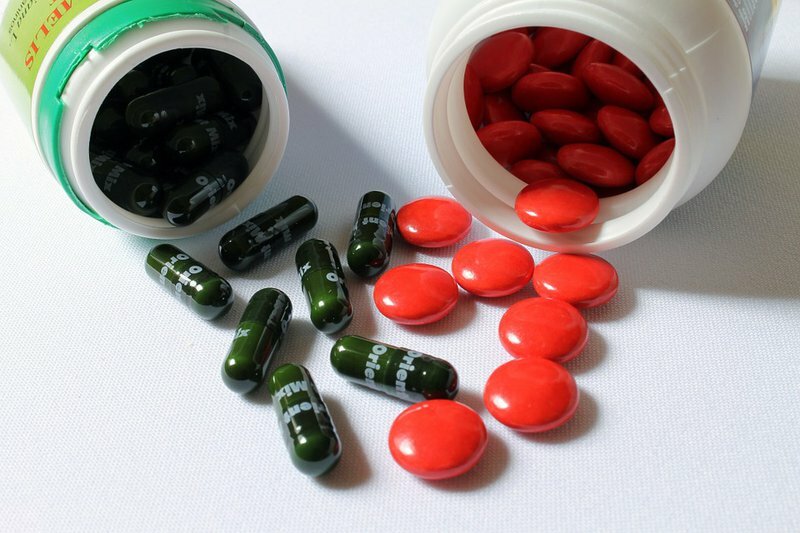 He had been taking a number of vitamins and supplements for himself over the years. In 1969, he placed an order with a manufacturer and began selling them to the market himself. In the beginning, he sold his products exclusively through the mail. They opened up a small store in Fargo, North Dakota soon after however. Their official website came online in the 1990s, allowing them to reach customers from all over. The company has expanded its retail store in North Dakota to twice its original size to accommodate demand. They have opened a number of distribution centers around the country in an effort to improve shipping times to their customers. They currently have roughly 14,000 products in its massive catalog. One of the best deals that they currently offer is $10 off whenever you spend more than $50 on your order. They also have dozens of items available at a discount up to 75%. Make sure that you stay updated with the company to take advantage of some of the deals they offer regularly such as Swanson Vitamins free shipping codes. You can find plenty of health products sold by the company. Currently, there are roughly 14,000 such products in its catalog. They include food and beverage products such as tea, oils, nuts and seeds. They also have beauty products such as soap, shampoo, anti-aging products, and cosmetics. Customers seeking herbs will also find an assortment available on their website such as milk thistle, turmeric, cinnamon, and ginger. They all have their own different properties that can help battle a range of conditions. Some of the other products in the catalog have a very specific focus, such as target those with joint pain. There are also products for the heart, immune system, and digestive system. 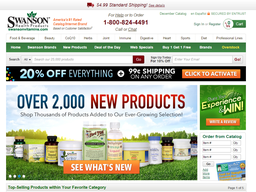 To shop with the company no matter where you are, you can simply visit their website at swansonvitamins.com. As soon as the main page loads, you'll be prompted to become a member of their official newsletter. It can definitely be worth your time since members receive Swanson Vitamin coupons very regularly. You'll actually get a 10% off discount as soon as you join. You can shop for all of the company's products since they're conveniently categorized on the site. Website visitors can also check out their monthly catalog if they'd rather shop that way. The company is very active on a number of different social media sites. Joining them on these sites will keep you updated on the special deals that they offer. You may also come across Swanson Vitamins reviews by other customers. They have profiles on Facebook, Twitter, Pinterest, YouTube, Instagram, and Google+. The company provides standard shipping options to all destinations in the United States including Alaska, Hawaii, and all territories. You can also get orders sent to Canada and other international destinations as long as you're willing to pay the appropriate fees. The company offers a generous returns process. Customers have up to 12 months to return products that they purchased but regret. All you have to do is include a detailed explanation for your return in the package that contains the rest of the product that you haven't used yet.